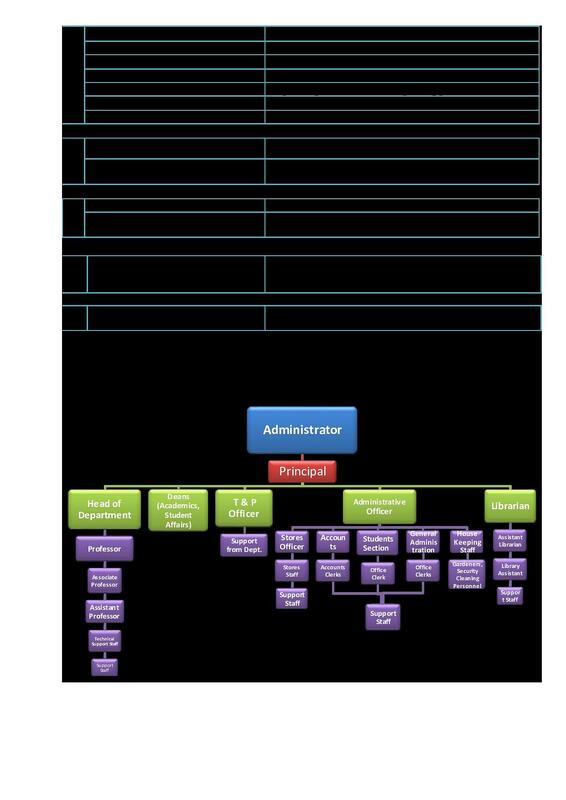 College should focus more on the placement of core branches. Anjuman College is the Best College in Centre of the Nagpur City. Some Good Remarks- Our College help in Scholarships. Best fee structure. Best Infrastructure and advanced Labs. Well knowledge faculties. 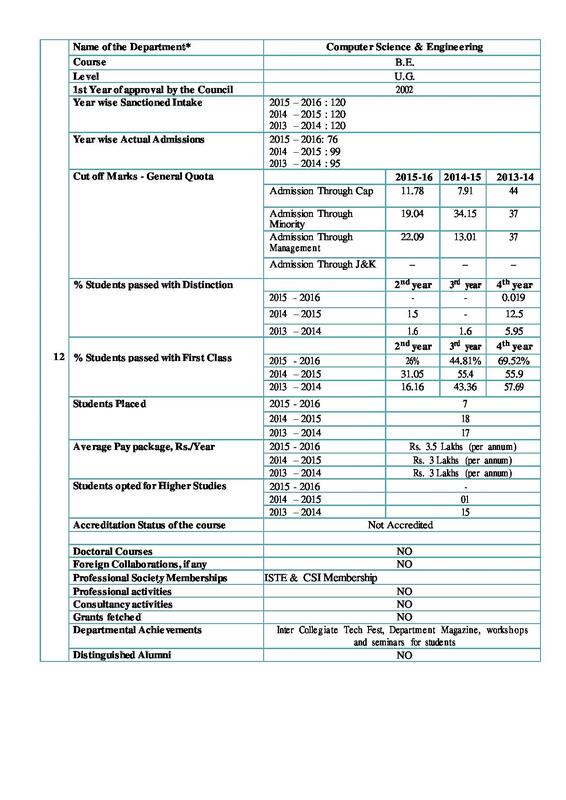 Some Bad Remarks- College does not provide hostel facility. College does not provide Internships. College has comensed in 1999. So it is has less experiance in creating records. 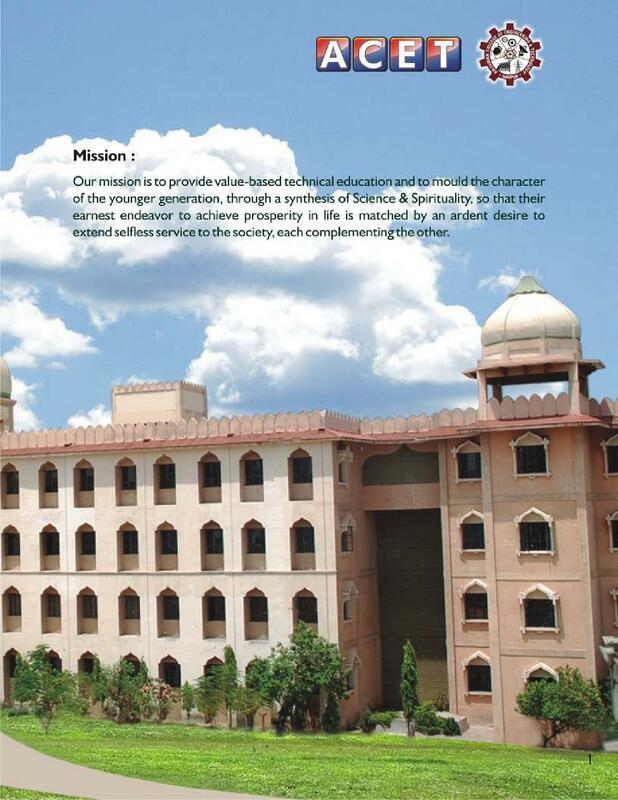 But college try hard and fast in stealing every opportunity to become esteemed, prestigious institute. College management is good. The pros of college is fee structure and cons is proper placement. Apart from this every thing is good. 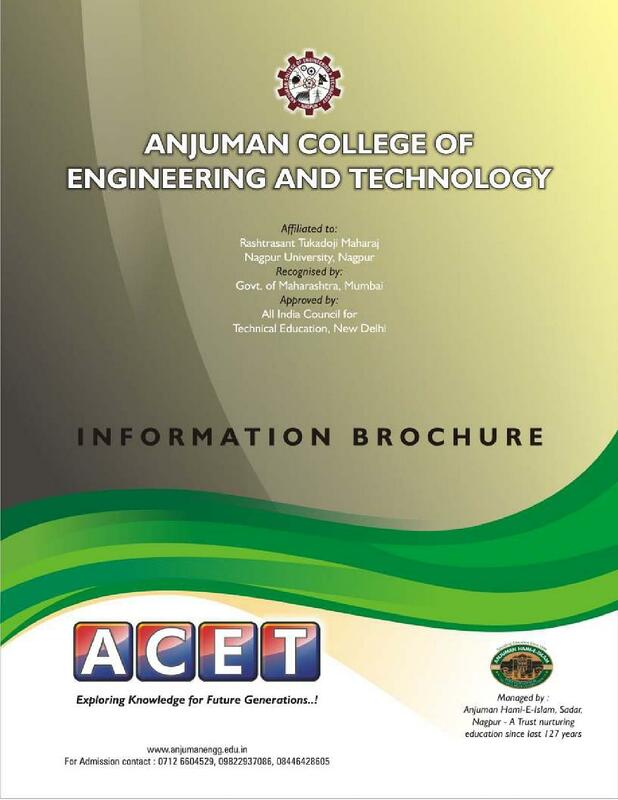 Anjuman College of Engineering & Technology, Nagpur was established in 1999 and managed by Anjuman Hami-E-Islam Trust, Nagpur. For well over 125 years. 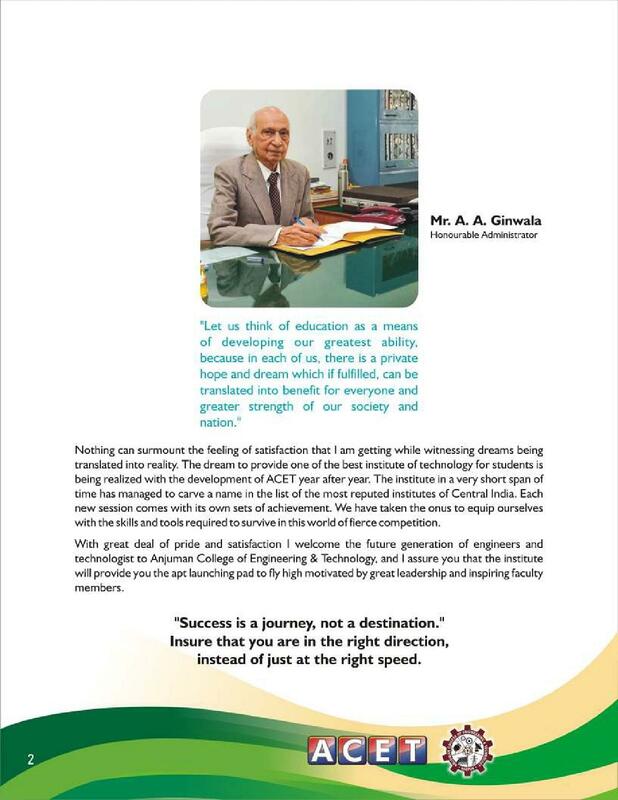 Irrespective of the considerations of the various caste and creed It has wide spread reputation in the field of education in Vidharbha and is currently running 20 educational Institutions. 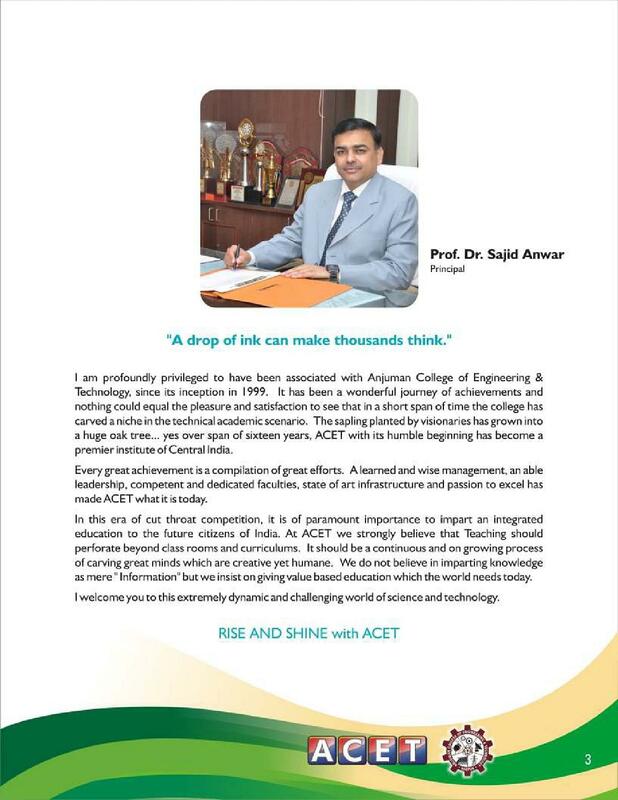 International Conference on Advances in Engineering and Technology (2014)-It is being held on 8th and 9th January 2014 at Anjuman College of Engineering and Technology, Nagpur.ICAET - 2014 aims to bring together researchers, scholar students, scientists, engineers and share their experiences , ideas and research results relating to various engineering fields. 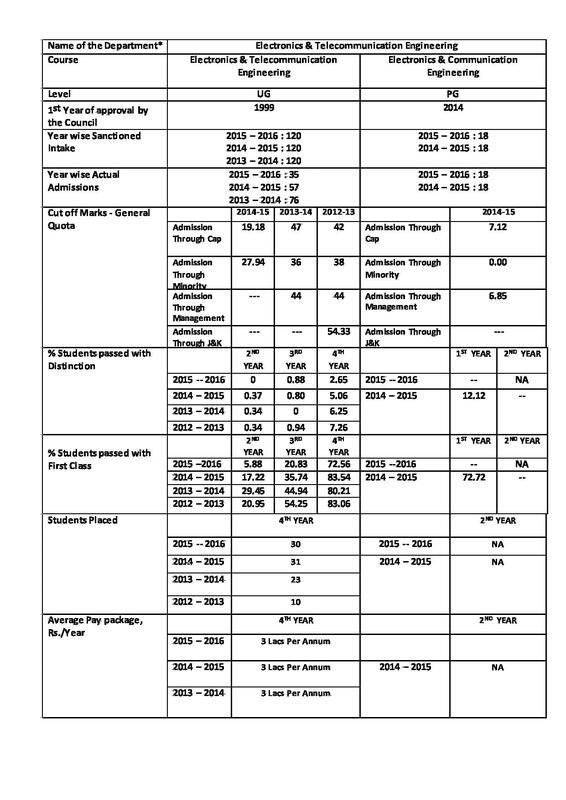 "An Honest Review Of Anjuman College Of Engineering & Technology as a Student"
Fees structure of our college is comparatively low from other colleges in the city. 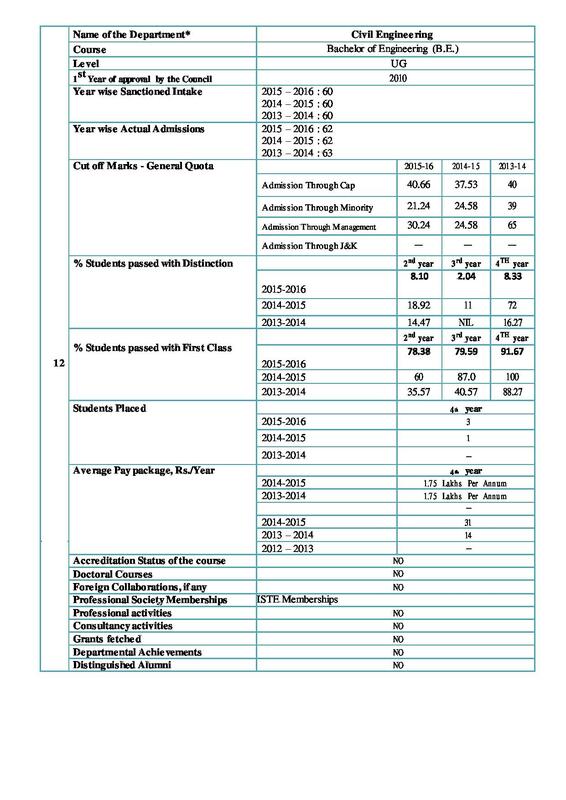 Being a minority candidate, special quota (50% of the total seats reserved for muslim minority candidates), I prefered this college. There is provision for state and central government scholarships for eligible students, which makes academic fess much lesser as compared to other institutes. 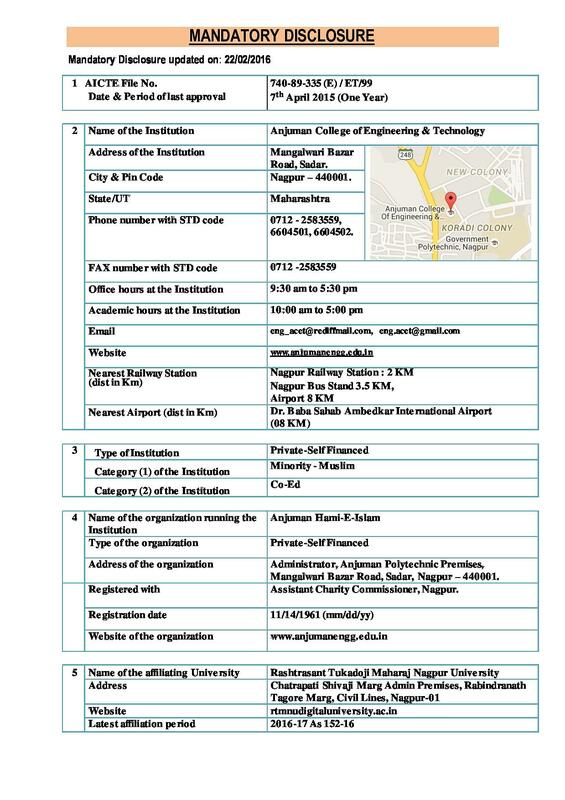 "A unique experience comprising of integrity and excellence"
JEE Mains and MHTCET Are the two major exams which one can write if they want to get admission here.I wrote them both and based on the score in MHTCET I got the admission here,there was a counselling session before admission which clears a lot of doubts about the coursework. It helps a lot in deciding the course which you want yo get admission in.